Dissolve sugar in boiling water. 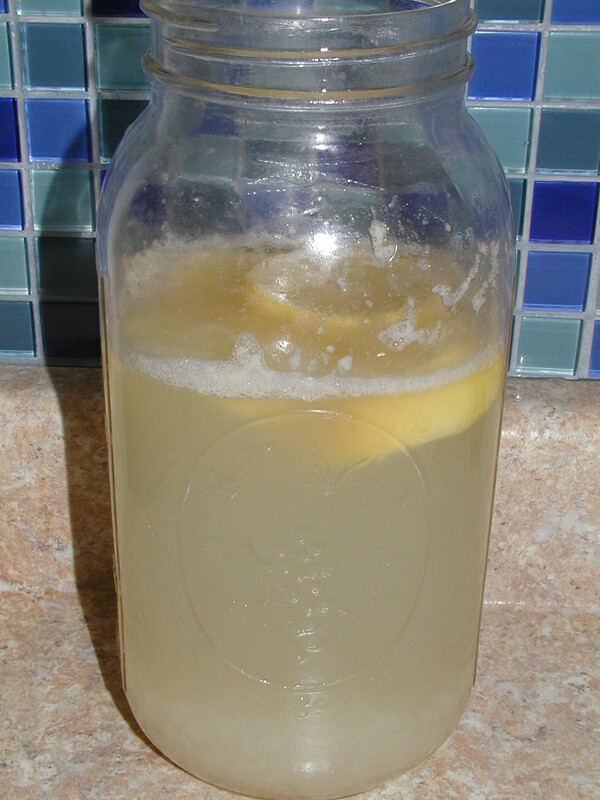 Combine (cooled to room temperature) sugar/water mixture, water kefir grains, and lemon in a 2 quart jar. Cover with towel. Let sit on counter for 2-3 days or until most of the sweetness is gone. Strain out water kefir grains to reuse. Store in refrigerator. Enjoy!